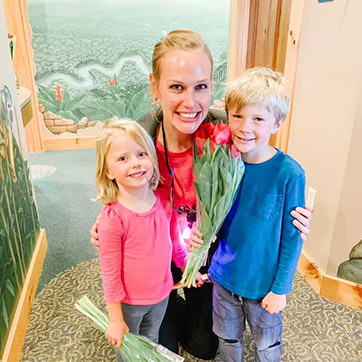 The mission of All Kids Dental is be recognized as a “Center for Excellence in Pediatric Dentistry.” We are committed to clinical excellence while building personal relationships and providing outstanding customer service within a fun, loving, and nurturing environment. Our goal is for your child to establish a “dental home” at All Kids Dental. We will provide the finest comprehensive and personalized care with superb customer service for your infant, child, or teenager. Our efforts focus on eliminating the fears commonly associated with dentistry, and educating families about proper oral health, dental hygiene, and prevention of dental caries, as well as providing superb, quality dental treatment. We chose pediatric dentistry because we genuinely love children and feel strongly that their emotional needs come first. We have an open-door policy, and welcome parents to accompany and support their child throughout their dental care. We understand your participation is vital in achieving optimal oral health for your child. We feel that all children have the right to become cavity-free adults who value good oral health and enjoy going to the dentist!